Home > Trailers > Mass Effect: Andromeda looks amazing, now how's about we see some gameplay, EA? Mass Effect: Andromeda looks amazing, now how's about we see some gameplay, EA? 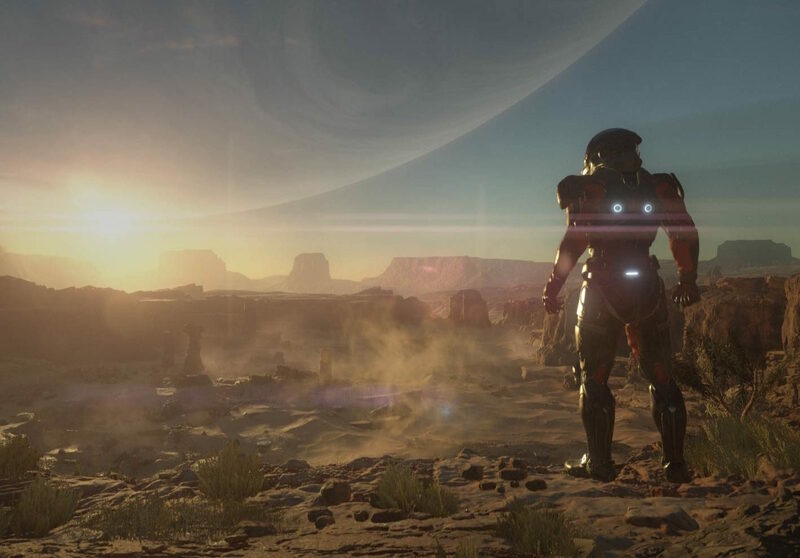 For the second E3 in a row, EA has opted to simply tease us with Mass Effect Andromeda. We know it's in development. We know it's meant to be coming in 2017 (in theory, anyway), but, as you'll see from this trailer below, we still only have the most faint idea of what the game is actually going to be about, and how it might play. Related reading: Mass Effect game theory; were the humans wrong to fight back against the Reapers? Much of this teaser trailer focuses on the idea that this time around humanity is the alien; as the name suggests, the game is actually based in Andromeda, and not the Milky Way, and humanity is taking its first steps into a completely different galaxy. From a creative point of view, this means that BioWare has a blank slate to work with, and is not required to bring back any of the characters, races, or enemies that the previous Mass Effect trilogy did. This is a smart move, for my mind. What I found amusing, though, is that the game almost seems to be "Xenoblade Chronicles X: The Mass Effect edition." The sense of wonder from exploring completely different environments, and the idea that humanity is the interloper, is a concept that was already explored in that Wii U game. I'm not suggesting BioWare's game will play in a similar way at all, I just find it fascinating that both developers went down this path at a similar time. My great concern with Andromeda is that it's going to further slide towards the shooter side of the RPG/shooter hybrid that Bioware has been straddling with this series. With each game subsequent to the first, the tone and design has shifted from RPG to shooter, with Mass Effect 3 really only retaining the most superficial RPG mechanics (though keeping the RPG storytelling going further). I do hope that BioWare is not going to streamline down the storytelling and RPG elements any further in a drive to make Mass Effect the kind of game shooter fans will enjoy playing, because that would be disappointing indeed. And once again, EA is being very slow in actually showing gameplay, so none of those concerns were put to rest by this year's E3 showing. Still, it's impossible not to look forward to Mass Effect, so here's the new trailer to whet your appetite just that little bit more.